A high priority has been a rebuild of the Rochester Quadrajet carburetor. 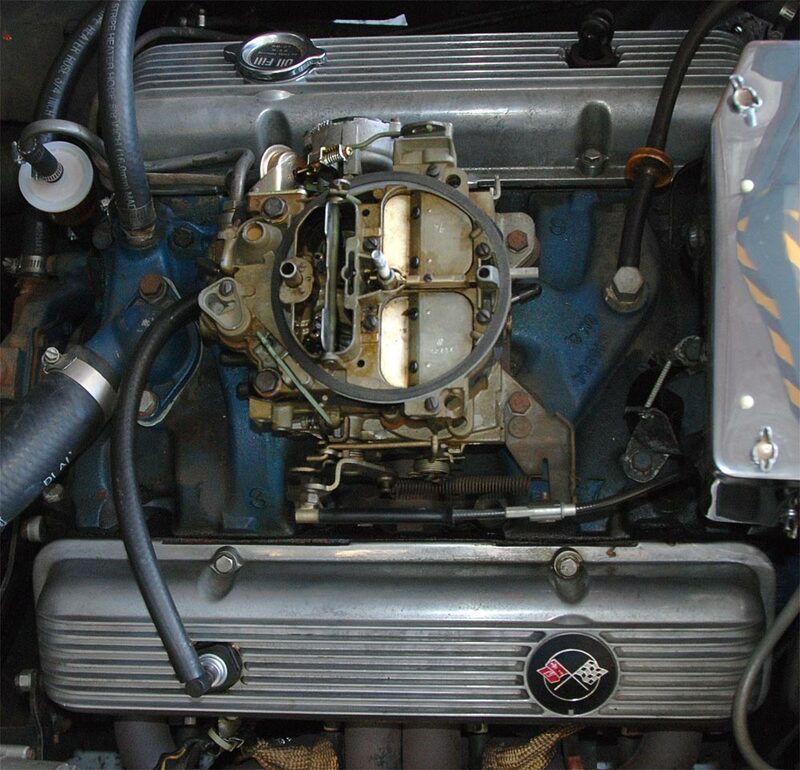 The biggest reason was a fuel leak, so bad that if the car was sitting for a couple of days, all the gas would leak from the carburetor bowl. 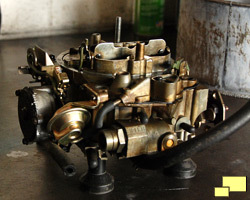 This meant that I would have to spend about 40 seconds cranking the motor which, with the mechanical fuel pump, was needed to fill the bowl so it would start. More than an embarrassing inconvenience, it was also a safety hazard. I had even started to carry a fire extinguisher. 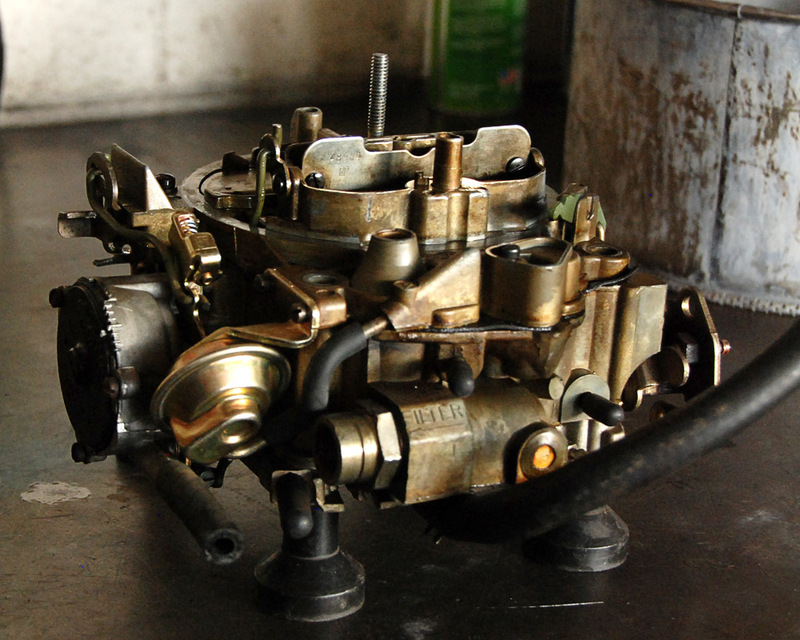 Introducing the Rochester Quadrajet Carburetor. 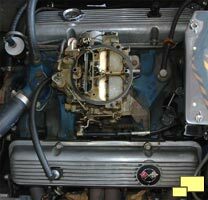 It made it's first appearance in the Corvette in 1968; previously Holley products had been used. 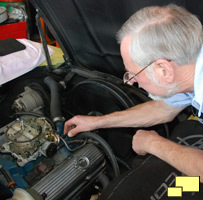 The Holley and Rochester Quadrajet shared Corvette fuel management duties until 1973 thru 1981 when the Quadrajet (sometimes referred to as the "Q-Jet") had exclusive rights. The Rochester Quadrajet was always a controversial choice. It's detractors, who sometimes called it "Q-Junk", claimed it was needlessly complex. Fans of the Q-Jet pointed out that it was nicely versatile and fit the needs of both the performance folks and the general public. It should also be pointed out that it worked in an era where emissions requirements started to play a serious role. 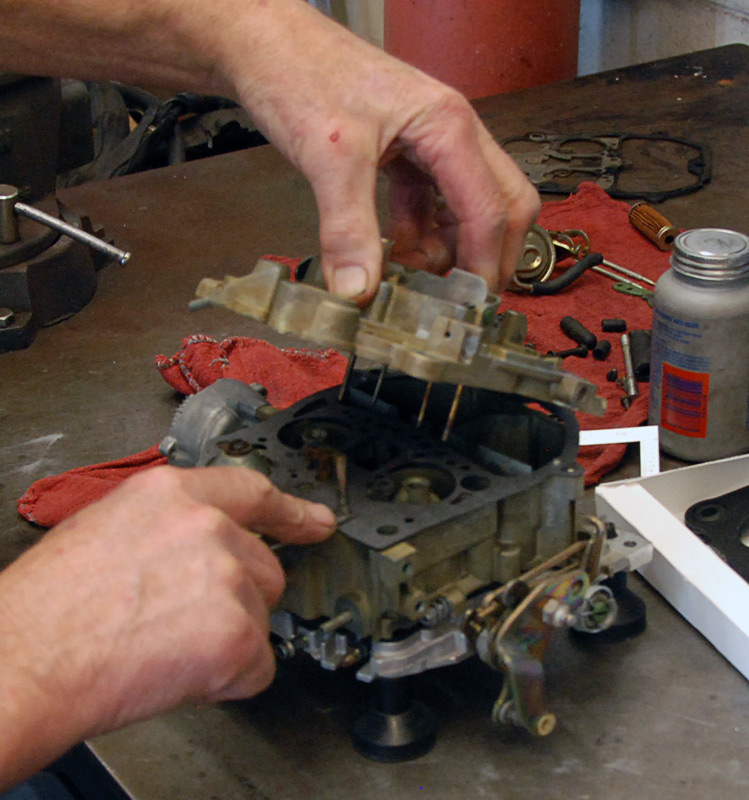 Left: Mike Bradley of Mike Bradley Automotive in Chatsworth CA took on the rebuild job. It really is a treat to watch a craftsman such as Mike do his work. 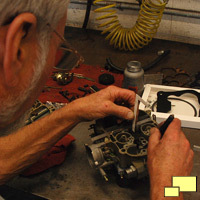 He has some special tools that help the process, honed over years when he has done over a thousand Q-Jet rebuilds. 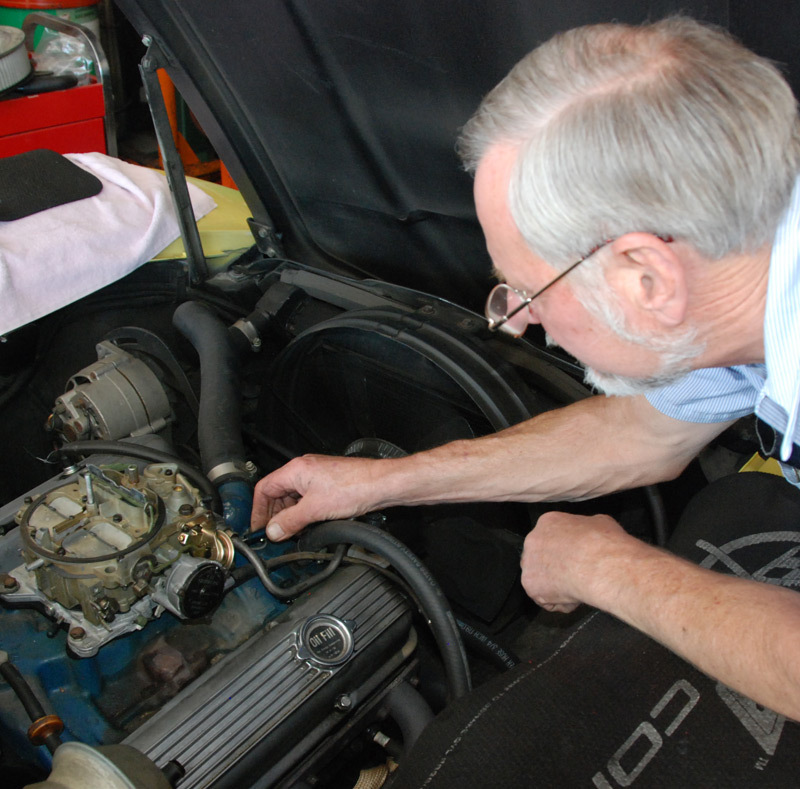 Right: Mike reported the idle tubes had vibrated loose, a situation likely to cause mpg problems. The main well plugs were the cause of the fuel bowl leak; this was fixed with some epoxy, a common item in a Q-Jet rebuild. 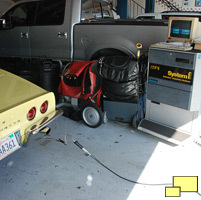 Left: the idle setting is adjusted with the aid of a "Emissions Inspection Analyzer". 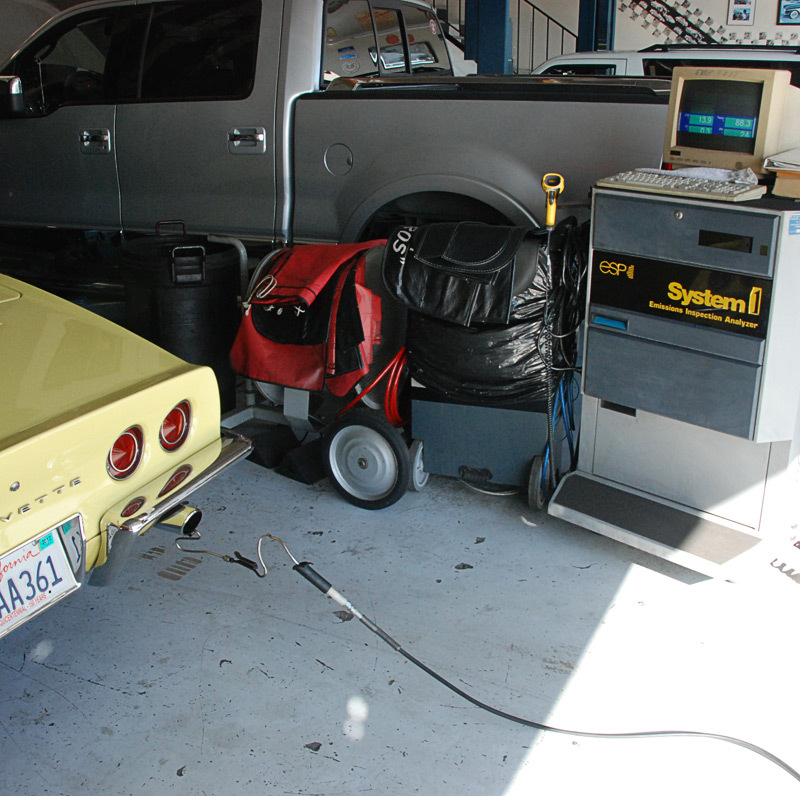 There's a bit of irony here - a '68 Corvette hooked up to a smog machine. It's about the only time that will happen as '68s are exempt from any smog inspection requirements here in California - one of the few breaks we get with these cars. 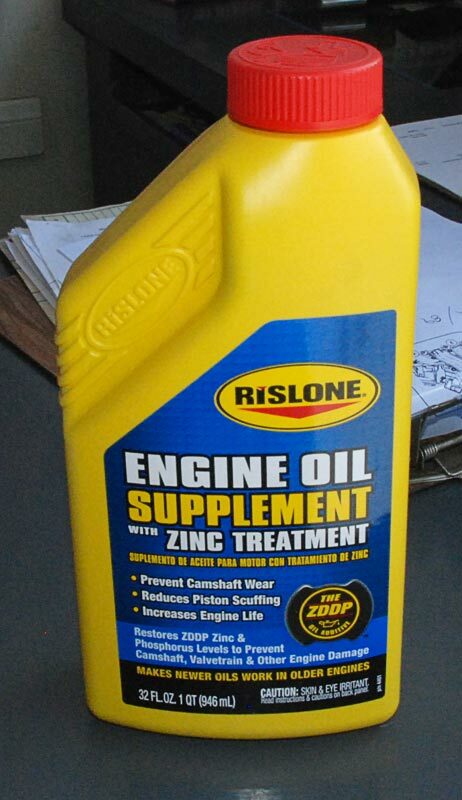 Todays' oils are lacking ZDDP (Zinc dialkyldithiophosphates) because of reports that they can damage catalytic convertors which is not a problem with a 1968 Corvette. Additives such as the Rislone product on the right does a good job of making up for the deficiency. 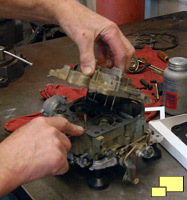 The idea is to minimize camshaft wear. Some oils include ZDDP; when looking for an oil for your classic Corvette, choose one with more than 1,000 ppm (parts per million) of ZDDP.